Freebie – Snag a FREE Sample of Schiff Move Free Ultra through Facebook. Free Beauty Sample – Enter the Sibu Beauty Sweepstakes to snag a FREE Sibu Beauty Product Sample! The first 20,000 to fill out the form will get a sample. Plus, you’ll automatically be entered to win 1 of 10 prize packs. Starbucks freebie – Through Feb. 24 Starbucks Rewards Members will receive a FREE $5 credit on their registered Starbucks Rewards card when they purchase a one pound bag of whole bean coffee from participating Starbucks locations! Free Eucerin – Take the “Skin First Pledge” where you will pledge to protect and defend your skin. After pledging, you’ll be able to choose from one of the following three FREE samples — Eucerin Daily Replenishing Moisturizing Lotion, Eucerin Smoothing Repair Dry Skin Lotion, or Eucerin Professional Repair Extremely Dry Skin Lotion. Free app – For a limited time you can download the Monsters, Inc. Run App for FREE (reg. $0.99)! This app is compatible with iPhones 3GS, 4, 4S, 5, iPod Touch 3, 4, and 5th Generations, and iPad (requires iOS 5.0 or later, optimized for iPhone 5). Free Nescafe – Sign up for FREE Nescafe Memento sample from Walmart.com. Free Coffee – Sign up for a FREE sample of Greysky Sumatra Toba Coffee. Free Batteries – Get ready to request a FREE 4-pack of Rayovac AA alkaline batteries for the first 1,000 people who register for Rayovac’s National Battery Day Giveaway starting sometime between 10 a.m. CT (11 a.m. ET, 9 a.m. MT, 8 a.m. PT) and 5 p.m. CT (6 p.m. ET, 4 p.m. MT, 3 p.m. PT) on Friday, Feb. 22 from their Facebook page. You can also RSVP to the event for additional details. Everyone else will receive a printable coupon of $1.75 off any 2 packs of alkaline batteries. 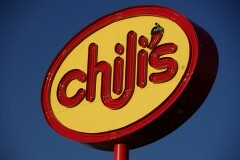 Chili’s coupon – Kids eat free at Chili’s Bar & Grill through Friday Feb. 22! Get your Chili’s Bar & Grill Kids Eat Free coupon! Free Gevalia – Still available! Score FREE Gevalia coffee samples through Facebook.